Learn more about our work here by accessing our Annual Reports, Strategic Plan, Impact and Research Reports, and the books that bring to life the stories of the girls and young women we support. 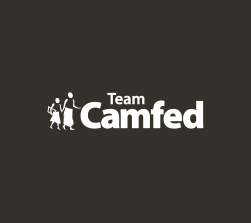 Camfed has a unique opportunity to show the world the potential that can be unlocked through girls’ education and young women’s leadership – in individuals, in communities, and in economies. 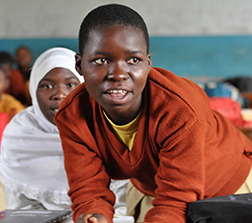 Together with the young women in CAMA, and donor partners across the world, we have set ourselves the ambitious goal of supporting one million adolescent girls through secondary school and into secure livelihoods within just five years, beginning in late 2014. Our strategic plan sets out how we will achieve this objective. 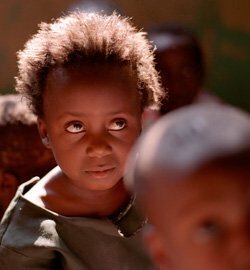 The 2010 Impact Report, representing 17 years of work, presents powerful evidence, in statistics and stories, of the cycle of change launched by educating girls in rural Africa. In 2010, the global law firm Linklaters produced this report for Camfed, which analyses our community-based model in Africa and examines how good governance can achieve the greatest beneficial impact in poor communities. 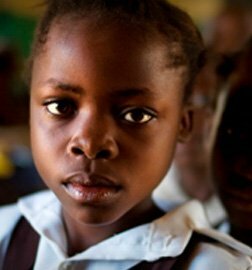 A report prepared for the Ghana Education Service and DFID Ghana which analyses the international and Ghana-specific evidence for ‘what works’ in girls’ education. This document also provides a comprehensive bibliography of research on girls’ education, as well as a tool – “INSIGHTS” – to assess prospective strategies. On August 6, 2014, at the U.S.-Africa Leaders Summit hosted by the White House, the George W. Bush Institute and the U.S. State Department, Camfed and The Mastercard Foundation announced the publication of "When you educate a girl, everything changes", a book which profiles MasterCard Foundation Scholars in Ghana supported by Camfed. The Scholars share the challenges they have faced in securing their eduation and their hopes for the future.